Pamela Colman Smith: The Untold Story brings together the work of four distinguished scholars who have devoted years of research to uncover the life and artistic accomplishments of Pamela Colman Smith. 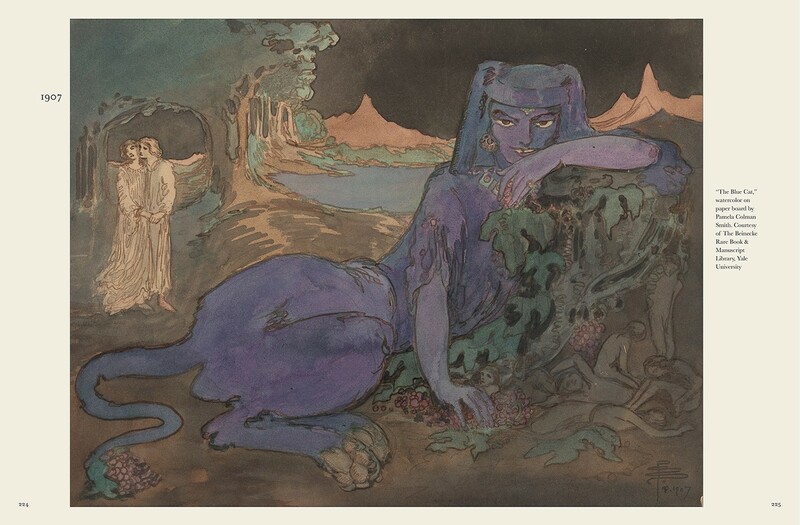 Known to millions as the creator of the Rider-Waite Tarot® deck, Pamela Colman Smith (1878–1951) was also a stage and costume designer, folklorist, poet, author, illustrator of ballads and folktales, suffragette, and publisher of books and broadsheets. 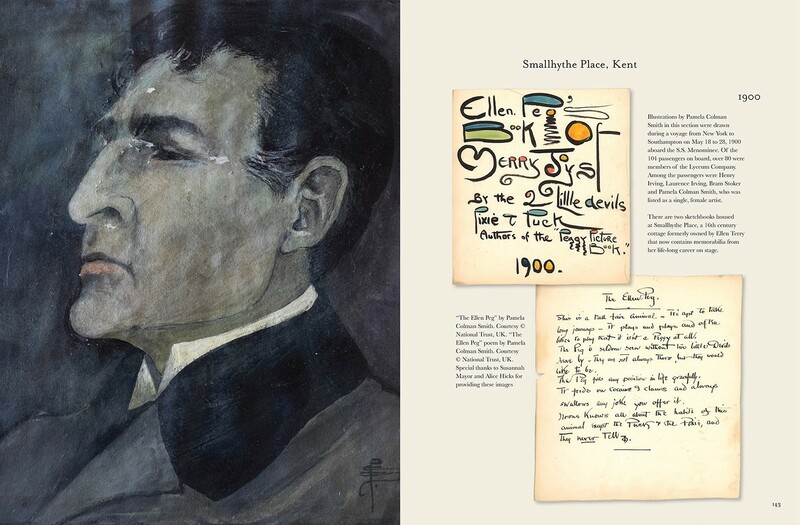 This collaborative work presents: a richly illustrated biography of Pamela’s life with essays on the events and people that influenced her including Jack Yeats, Ellen Terry, Alfred Stieglitz, Bram Stoker and William Gillette. 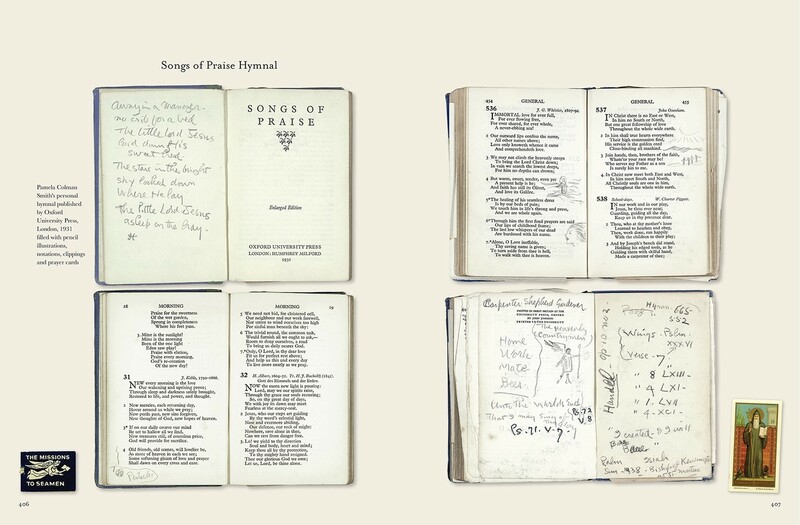 There is also a chronological survey of her folktales, art and poetry and an exploration of her lasting legacy. Over 400 color images of Pamela’s non-tarot art have been curated from her publications including A Broad Sheet, The Green Sheaf, Blue Beard, Annancy stories, Russian ballet, costumes, stage designs, Irish magazines, book illustrations, posters and much more. Pamela Colman Smith: The Untold Story is the most comprehensive and exhaustive collection of works by and about Pamela Colman Smith published to date. 8” x 10.5”, 440 pp., color illus., hc. Impressively informed and informative, exceptionally well organized and presented, beautifully showcasing the work of an amazingly talented artist with flawless reproductions of her art craft, "Pamela Colman Smith: The Untold Story" is a unique and inherently fascinating read from first page to last. A welcome and long overdue introduction of a truly remarkable metaphysical artist, "Pamela Colman Smith: The Untold Story" will prove to be an immediate and enduringly popular addition the personal reading lists of all tarot reading enthusiasts, as well as community and academic library Metaphysical Collections in general, and the History of Tarot supplemental studies reading lists in particular. 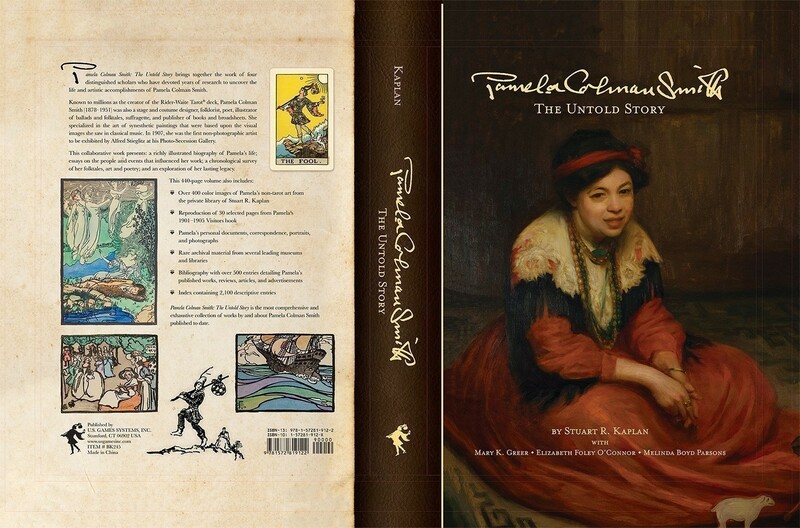 Pamela Colman Smith: The Untold Story is the most comprehensive, devotional, and poignant tribute to Pamela “Pixie” Colman Smith we’ll see this century. It’s a magnificent treatise and homage no tarot lover will want to miss. The Untold Story is the sum total of knowledge, research, data, and documents we have on the artist behind the Rider-Waite-Smith tarot deck and her works. Perhaps its greatest accomplishment is how it has brought Pamela Colman Smith to life. You’ll get to know her life and works, her family, her art, her interests, her personal spirituality, her quirks, and her multifaceted personality. The Untold Story is an investment piece you’ll want to get, especially if you’re an RWS tarot aficionado. 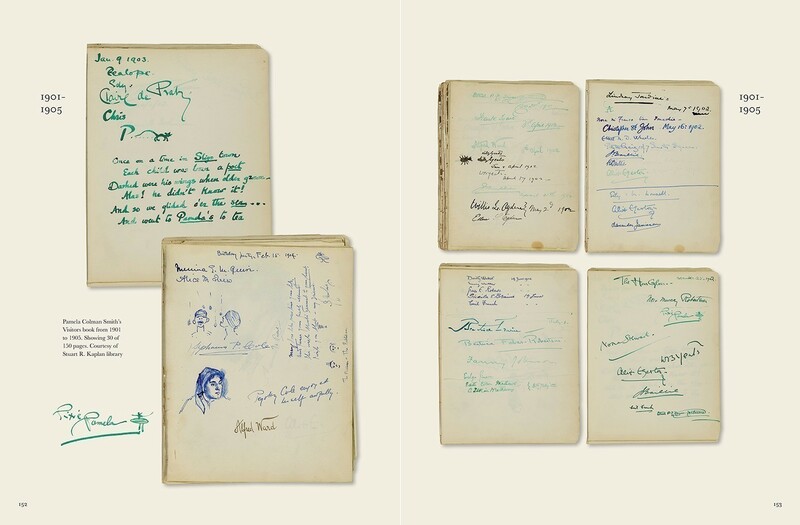 It’s a full-color hard cover volume of 440 pages, with over 400 color images from Stuart Kaplan’s private collection, reproductions and scans of the many papers and memorabilia from Smith’s life, letters, sketches, personal documents, and a wealth of rare archival material from museums and libraries around the world. You get all that in a beautifully bound matte cover book, with gold inlay lettering, a tome that will hold a special place in every tarot reader’s collection. The time is finally right for Pamela Colman Smith's major contribution to the Rider-Waite tarot (and tarot history) to be recognized. Stuart Kaplan, foremost tarot historian, has created an exciting, 400-plus-page masterwork that elevates her to her rightful place in esoteric history. 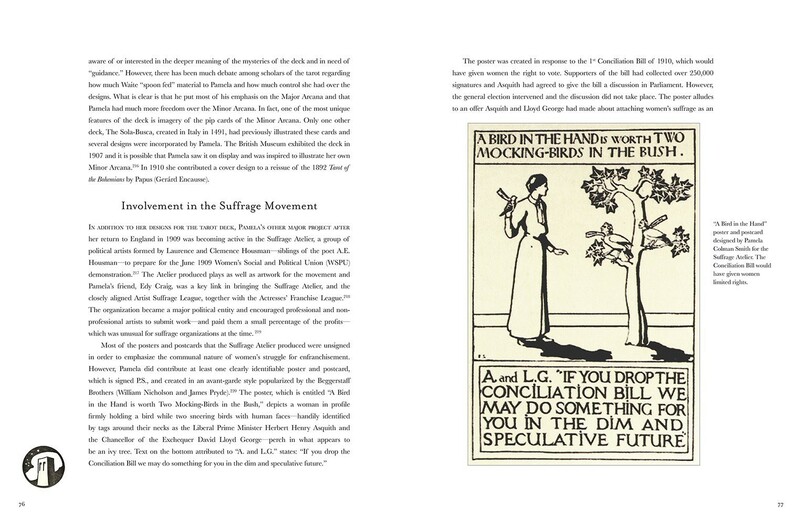 Pamela Colman Smith: The Untold Story is a must-have for feminists, art historians, and tarot enthusiasts. 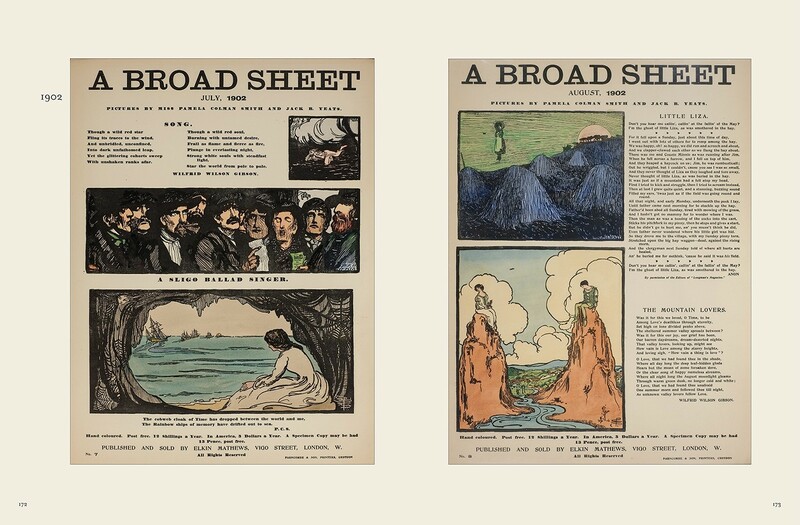 Best known for providing the illustrations for the widely used Rider-Waite tarot deck, Smith was a late-19th-century traveler and polymath who’s only now, with this book’s publication, receiving acknowledgment for her full body of work. By bringing together the work from different media and periods of her life, the authors present her as the multifaceted creator that she was, complete with discussions of her influences, ideals, aesthetics, and passions. 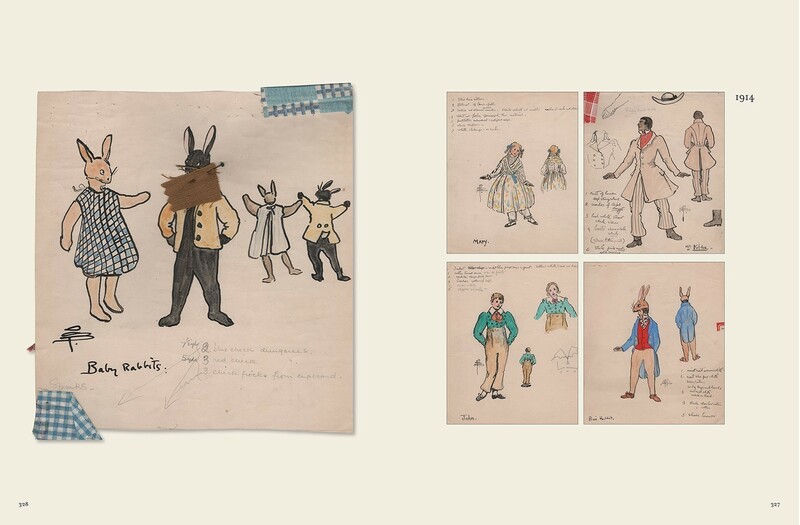 The book displays photographs, sketches, notebook pages, paintings, prints, poems, and folktales in full color, along with lengthy essays that place the works in proper context. 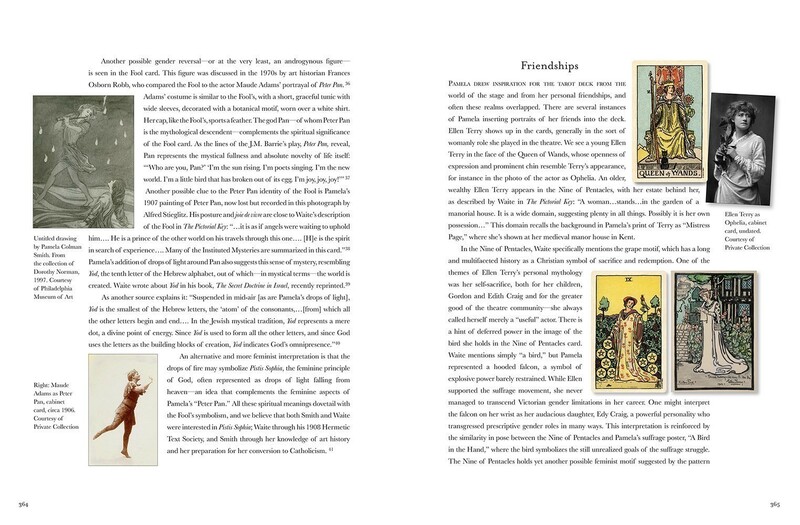 The book is a collaboration by four tarot experts who are all well-acquainted with Smith’s oeuvre: Kaplan, who curates the bulk of Smith’s art, folk tales, and poetry; O’Connor, who provides a detailed biography of Smith; Parsons, who offers insight and analysis on Smith’s work for the Rider-Waite deck, specifically; and Greer, who discusses Smith’s overall artistic legacy. 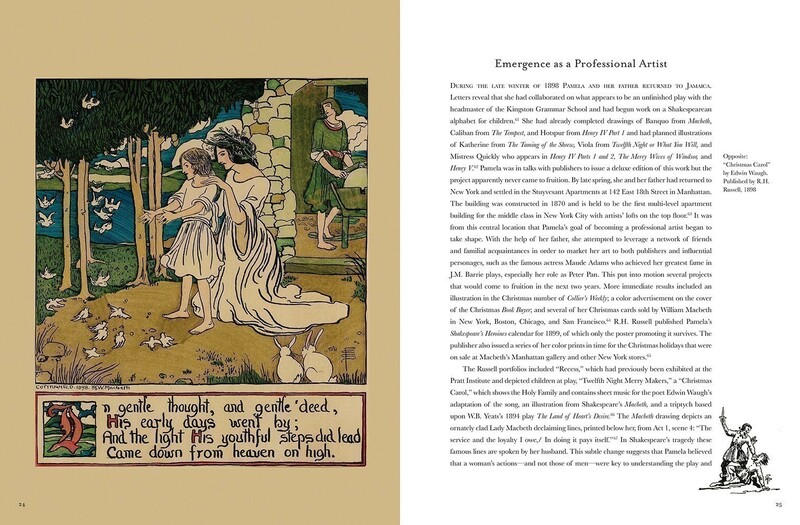 The image of the artist that emerges in that of a woman at the crossroads of several of the most interesting creative communities of late 19th-century art: commercial illustration, the Celtic Revival, the spiritualist movement, and nascent children’s literature. From such time-honored source material, the authors argue, she fashioned a brand that was elegantly modern. The Rider-Waite tarot illustrations get their proper due, of course, but the book also succeeds in revealing Smith as an artist of larger significance. The artwork itself is beautifully rendered throughout, with many full-page, full-color prints for readers to explore. 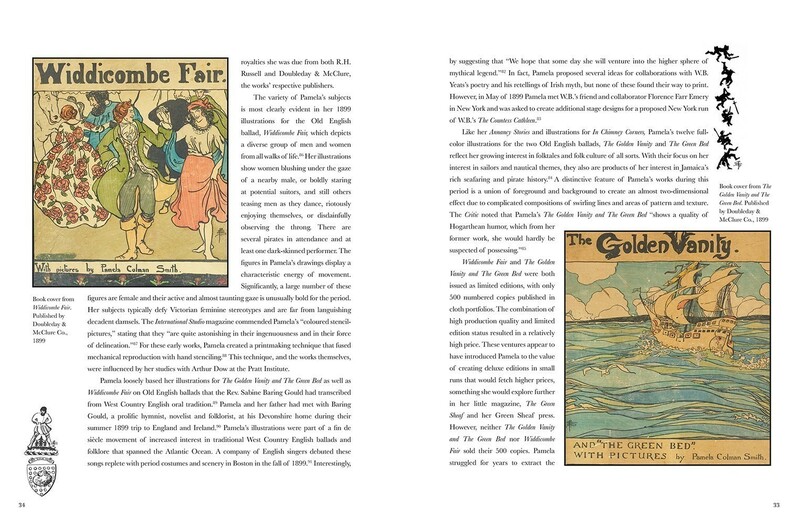 Tarot devotees will find much to appreciate, but so will fans of more famous illustrators, such as Howard Pyle, Arthur Rackham, and Maxfield Parrish. This work will hopefully help raise Smith’s profile as a true treasure of turn-of-the-century art. 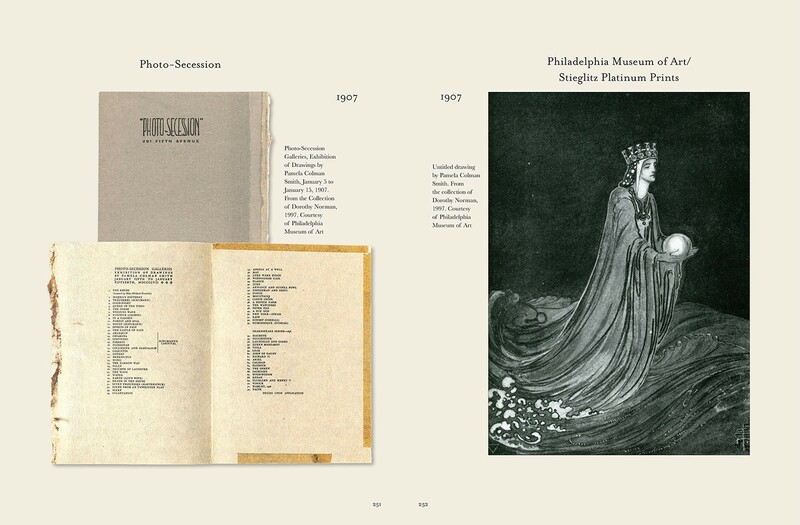 A lovingly compiled art book, full of wondrous images.